The T-Flow Tronic system eradicates string and slime algae through the process of copper electrolysis. Copper Ions are released in a controlled manner, the copper Ions seek out oppositely charged particles such as algae and bacteria cells. This process kills and controls algae growth by binding copper to the cell outer membrane which ruptures it causing the cell contents (cytoplasm) to leak out. The T-Flow Tronic is rated safe for use with fish and livestock but must be controlled and used sensibly due to higher amounts of copper causing toxicity. A copper content of between 0.2ppm and 0.3ppm is sufficient to reduce fibrous algal bloom and inhibit growth long term. To ensure the efficiency of the system please ensure your PH is between 7 and 8 and GH is kept in a range of 8 - 10 DH. This will also help safeguard livestock as copper toxicity increases in more acidic softer water. Once installed Water Garden recommend operating the system at its lowest setting of 5% for the first week to assess the results. If no changes to algae growth are spotted, the output can then be increased by another 5% increment. Follow this procedure until results occur. String algae will begin to turn white and die off once the optimal copper amount has been released. 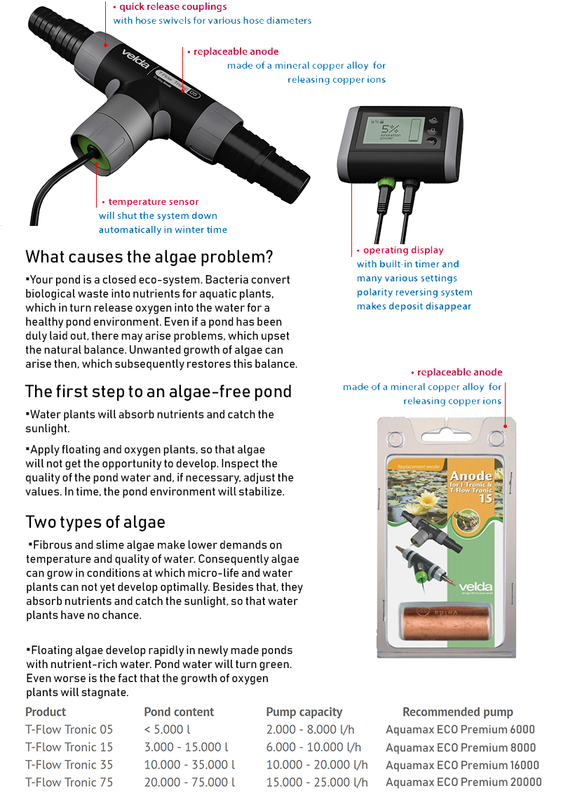 This would generally indicate the required setting needed to work efficiently on your pond or water feature to keep slime algae and filamentous algae (string algae, also known as blanket weed) at bay. 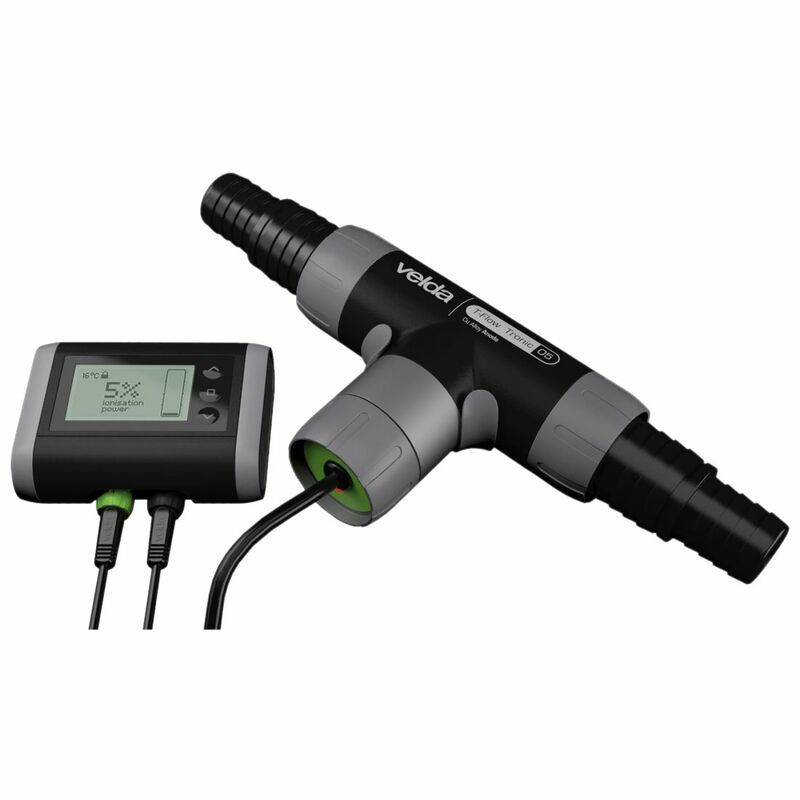 The T-Flow Tronic is ideal for use on water features and pools where chemical dosing is not reasonable or possible. 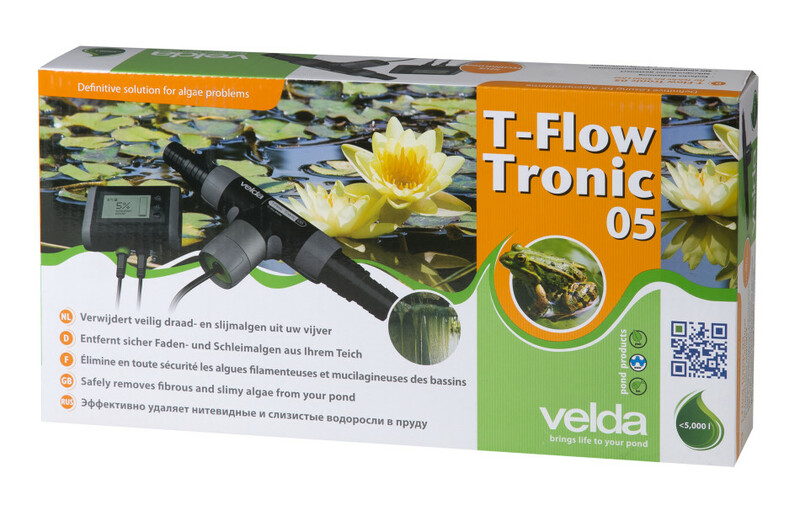 The T-Flow Tronic is available in 4 models to suit ponds up to 75,000 Litres (16,660 Gallons). 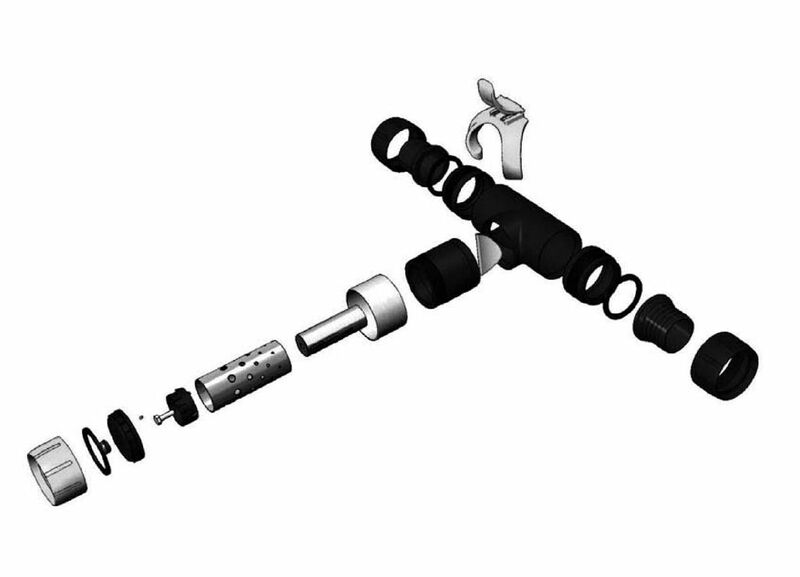 Inlet/Outlet Thread Size 1 1/2" BSP 1 1/2" BSP 2 1/2" 2 1/2"
Hose Connection Size 1 1/2" - 1 1/4" 1 1/2" - 1 1/4" 2" - 1 1/4" 2" - 1 1/4"